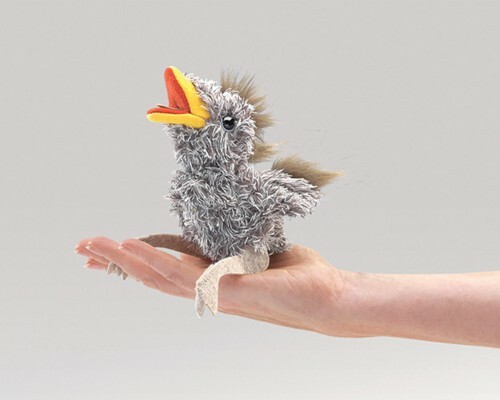 Folkmanis 2758 – Just hatched and ready for spring comes the MINI BABY BIRD finger puppet. Cradle this feathery newborn in your hand and press its belly to hear it peep! Measures 5” x 3” x 5”. Squeaker in belly.